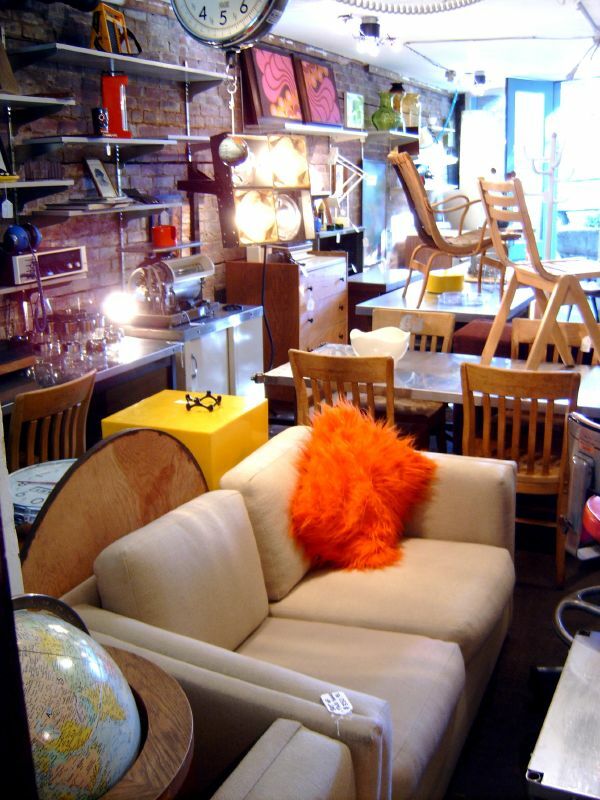 I was tickled when decor8 reader, Maria Palatini, asked if she could write about one of her favorite Seattle stores. 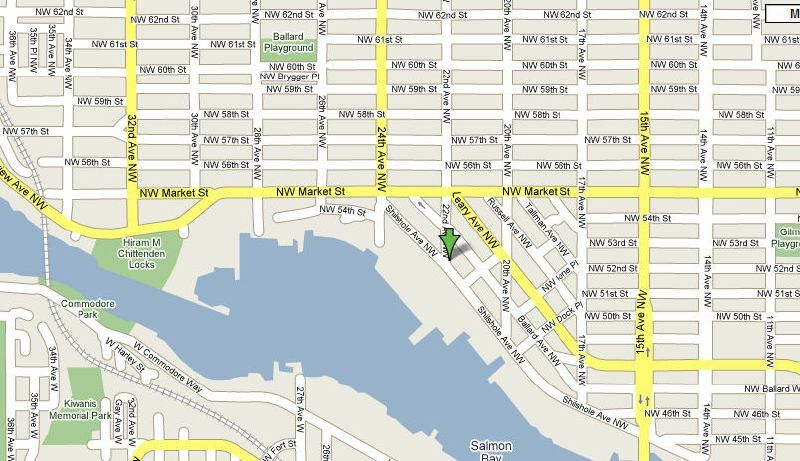 I figured that it may be helpful to those of you who plan to visit Seattle (or who live in the Pacific NW already). I also figure that even if you never plan to visit Seattle, it's still fun to see what's going on in different parts of the world. Take it away, Maria! Todd Werny's funky little shop Space Oddity is located on a small side-street connected to the main artery of the style-savvy and sophisticated Ballard Avenue in Seattle?s sparkly, creative and hip Ballard neighborhood. We're talking destination-shopping here, rivaling LA's Beverly Hills adjacent and surrounds. Except instead of Doughboys Bakery on W. 3rd Street in LA, you get Verite Coffee and Cupcake Royale on bordering Market Street. I visited Space Oddity on a recent afternoon which was so typically Seattle, it was nearly cinema-worthy. Grey drizzly rain came down from the sky in a soft and dreary haze, and my companion and I (who was nice enough to lend me a very cute and bright printed umbrella for the afternoon to match her own) felt like we'd just stepped off of the Singles movie set, (or perhaps our shopping excursion could have been part of the movie!) as we traipsed around Ballard into this cool, cave-like spot. 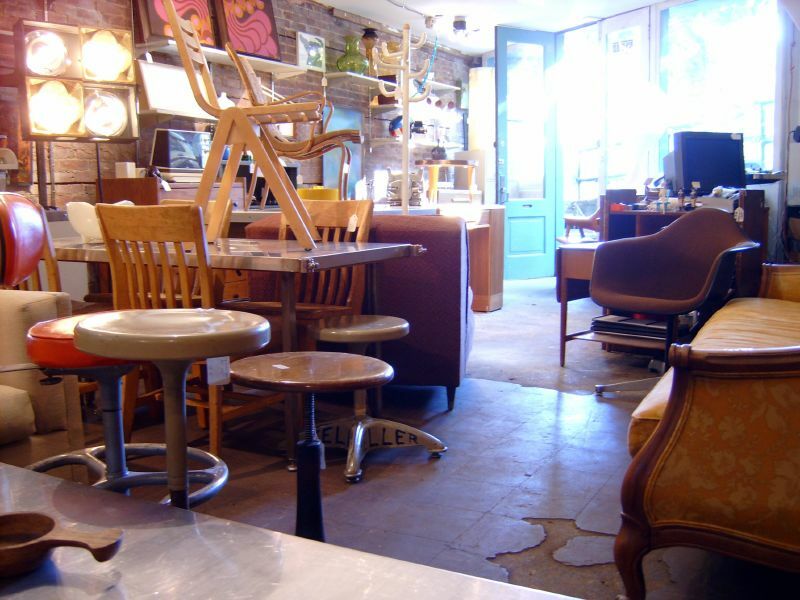 Nestled in a relatively small space and warm and cozy with good music playing, there were vintage treasures galore to be found inside. A ten year veteran of dealing in both vintage clothes and furniture in Seattle and its surrounds, Werny prides himself on the non-textbook approach of focusing on the soul and feel of each piece, rather than on its brand-name pedigree (although some pieces are pure certifiable brand-name vintage.) The main focus of the shop is mid-century, but other eras are represented as well. 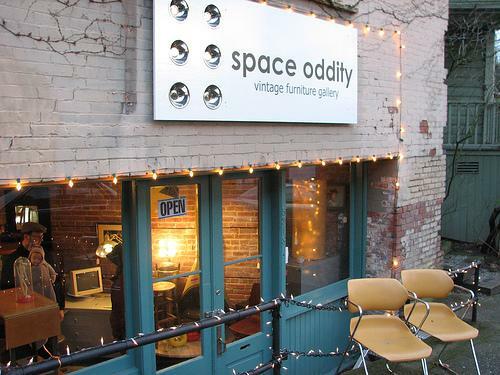 Affordability and accessibility, as well as an unpretentious hipness, make Space Oddity unique. The vibe, comfort, and old-time quality of the materials of an item are the most important things to Werny when choosing pieces for his customers to discover and likewise treasure. This is no museum, these pieces are meant to be used and loved in his client's homes. The atmosphere of the shop is likewise mellow, allowing for the joy of exploration and creative brainstorming about design choices. Standouts on my recent visit were some truly fab oversized Pucci-flavored 60's stereo speakers and an as-fab painting, which was part graphic design, part painting, and all style. It featured a 70's-esque snowy landscape, complete with a sun and moon and some groovy trees, a sleepy, cozy scene in white, tan and browns. Other pieces of note were some sweetly stackable woven Aalto dining chairs and some great, solid and hip urban metal tables which were on rollers for easy mobility and flexibility in a given space. Werny has new pieces come in all the time, so each visit is apt to bring about a new discovery, and since the shop is about to double in size due to a sizeable expansion currently in the process of being made, expect even more eye-popping vintage treasures on your next visit! TIP: Blink and you'll miss it, so be sure to look for the large rectangular sign outside, which is lit all-around and all-year-round in large, xmas-sy like bright white lights. This is my first post for the decor8 blog, and I look forward to helping you up to heaping servings of Seattle's amazing, multifaceted and let's face it, just beautiful design scene in the future. Over and out until next time! - Maria Palatini. Find That Sofa For Less!